Download the free report today or order the individual data package for your state for a fee. 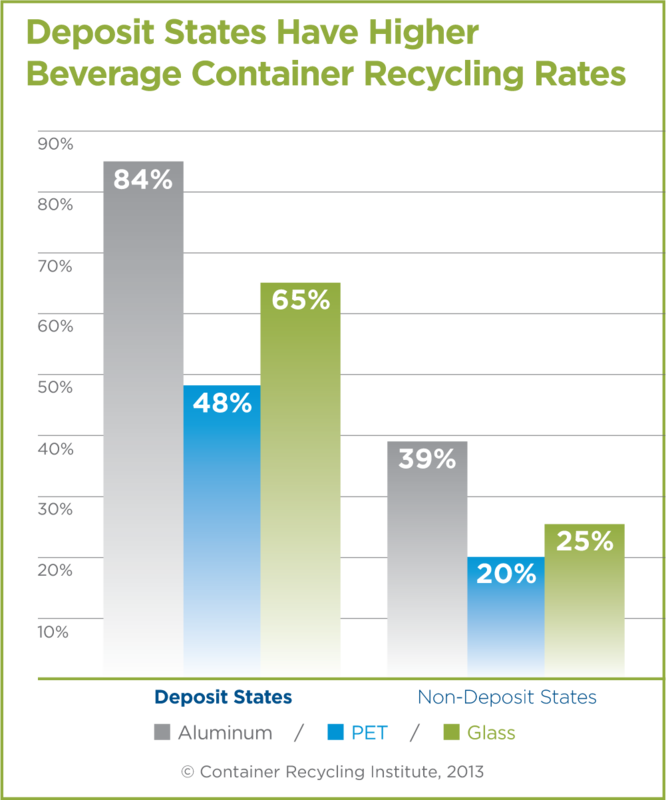 As part of its thought leadership and mission to help improve beverage container recycling in the U.S., the Container Recycling Institute (CRI) periodically performs an analysis of beverage container sales and recycling rates which are produced as authoritative published reports for use by decision makers and recycling advocates across the country. 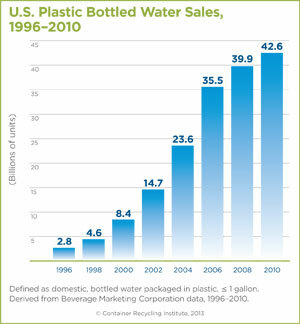 The most current version of CRI’s signature report is Bottled Up (2000-2010) - Beverage Container Recycling Stagnates. 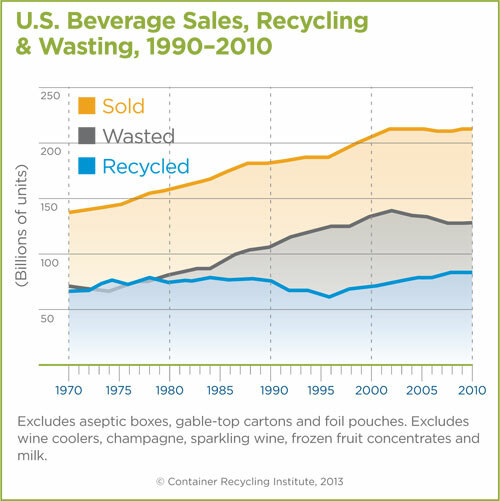 This latest report from CRI and expert contributors from the field shows that sales of disposable beverage containers have increased over the past 10 years, while recycling rates have stagnated. Released in 2013, the “Bottled Up” report can be used as an up-to-date resource for research and analysis regarding current beverage container recycling and the environmental impacts of beverage packaging. The report is accurate and comprehensive—full of valuable recycling information you won’t find elsewhere! We’ve compiled the latest data on beverage container recycling and packaging together in one reference document. What is covered in the individual state-by-state spreadsheet packages? Each data package includes tables containing sales, recycling and wasting data for most beverage types and beverage packages sold in the United States—by state or for the U.S. as a whole! It is user-friendly with a wealth of information derived from industry and government sources, and is easily modifiable. Total and per capita sales in volume and units, categorized by carbonated and non-carbonated beverages, alcoholic and non-alcoholic beverages, and packaging types including traditional and non-traditional material types. Why order the state spreadsheet packages? Get data on beverage and packaging sales for any state & the U.S.
Who can use the state spreadsheet packages? For further information about Bottled Up: Beverage Container Recycling Stagnates (2000-2010), or to order your copy, contact CRI. Please mention that you are requesting a data package, and which state (or the US overall) you would like to receive. Your data files will be emailed to you in Microsoft Excel format. Help CRI increase the quality and quantity of recycling, by ensuring CRI's compelling signature report gets into the hands of key decision-makers across the country! Your donation of any amount will help us send Bottled Up: Beverage Container Recycling Stagnates (2000-2010) to the printers and strategically distribute the hard copies to elected officials and government agencies. Thank you for pitching in and making a difference! Simply write to us using our contact form. Be sure to let us know that you're requesting a data package, and for which state you need the data. You can choose any of the 50 states. Each State package is $750, and 501c3 non-profits can request the non-profit rate of $200.